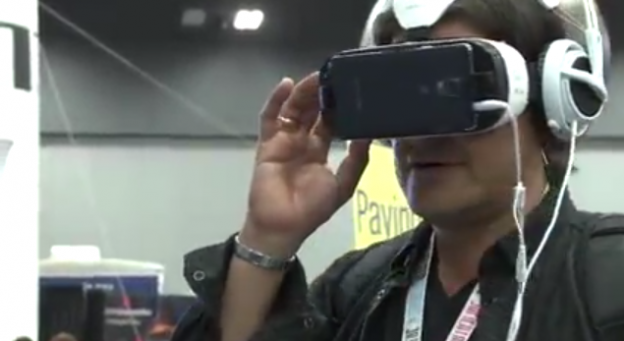 Virtual reality was one of the highlights at this year's SXSW conference (featured in the picture), and it's gained much more attention in recent months as other news outlets and technologists have taken notice of the medium. Screenshot courtesy of RJI. The International Documentary Film Festival Amsterdam’s (IDFA’s) DocLab conference and exhibit, the most well-established international showcase for interactive documentary, featured plenty of buzz (bacon ice cream made by growing meat in a petri dish! a coffin equipped with odors evoking famous deaths! ), a lot of virtual reality and some provocative insights. But we were still looking at experiments more than models. After all, the theme of the event, “Seamless Reality,” was illustrated with a glitchy version of an Internet cat. "Sending viewers to virtual refugee camps or to a Liberian hospital where Ebola was subdued...doesn’t necessarily make them any more empathetic than drawing a picture for them with words or photos or showing them a movie." 1. 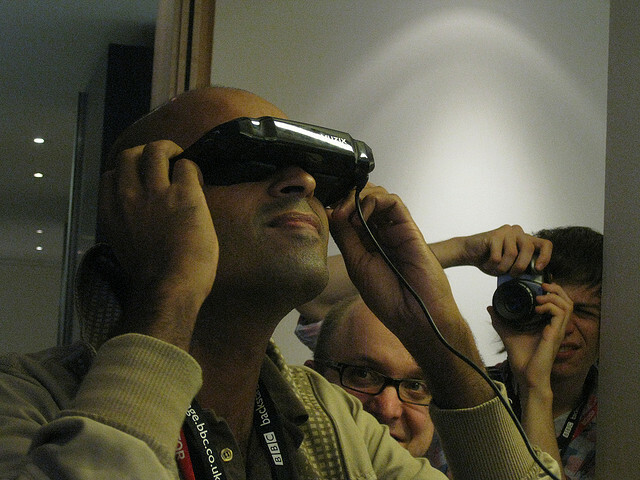 If you’re using virtual reality, have more than a gee-whiz reason. Photo by Phil Whitehouse on Flickr and reused here with Creative Commons license. Being able to look around in the image still isn’t like being there (nausea is still an issue), and anyway being there isn’t any royal road to understanding. Sending viewers to virtual refugee camps or to a Liberian hospital where Ebola was subdued (Gabo Arora and Chris Milk’s Waves of Grace) doesn’t necessarily make them any more empathetic than drawing a picture for them with words or photos or showing them a movie. The touching story of a survivor living with PTSD from a terrorist attack (Darren Emerson’s Witness 360: 7/7) isn’t discernibly more touching for having strapped on the lunchbox-on-face VR equipment and been able to look around her bedroom. That doesn’t mean the stories weren’t well told and touching; both central characters and their narratives were compelling. But they would have been compelling without the VR. 2. Leverage the capacities of the medium. A lovely animated VR work, Drawing Room, by Jan Rothuizen and Sara Kolster — winner of the Digital Storytelling award — does that with grace. Viewers got both to browse Rothuizen’s physical workspace at will and share his creative questions, and also go with him to dreamspace in the sky — all without nausea. 3. Make sure something’s at stake. Dries Depoorter’s Sheriff Software put viewers in the position of being snoops. It showcased publicly-available police webcam feeds, and allowed you to report crimes such as jaywalking. (I didn’t see anyone reporting a scofflaw.) Simply scanning the webcams was a chilling reminder of how pervasive and public such information is. 4. Make the audience part of the event. Vigorous Twitter chatter raised questions that the hosts sometimes engaged. Even more fun, May Abdalla and Amy Rose from Anagram (remember Door into the Dark?) put surprises under everyone’s chair and provoked a conversation about what kind of experience could become part of their next effort. 5. Remember, if it’s interactive, the user is important. Really, really important. This post originally appeared on the the site for the Center for Media & Social Impact, School of Communication, American University. Patricia Aufderheide is University Professor and Director of the Center for Media & Social Impact, School of Communication, American University, and co-author with Peter Jaszi of “Reclaiming Fair Use: How to Put Balance Back in Copyright” (University of Chicago Press). You can give feedback at [email protected].